PAEDIATRIC SURGERY. 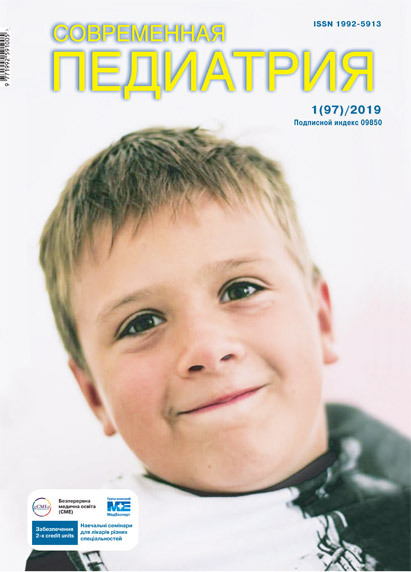 UKRAINE is the only peer-reviewed and open access journal in of paediatric surgery in Ukraine that advances research and serves as a practical guide for paediatric surgeons. The journal is published since 2003 jointly with Shupyk National Medical Academy of Postgraduate Education, the Ukrainian Paediatric Surgery Association and Company MedExpert, LLC. The journal publishes original research, clinical observations, and special feature articles in the field of paediatrics surgery, as broadly defined, medical review, workshop/conference/symposium/congress summaries, expert commentary, novel insights into clinical and academic paediatrics surgery: general surgery, cardiology, neurosurgery, thoracic and abdominal surgery, dentistry, urology, gynecology, nephrology, pulmonology, etc. The content of the journal also includes related fields such as orthopedics, anesthesiology, postoperative care and rehabilitation, pedagogy, etc.. Printed copies of the journal are distributed to over scientific institutions and libraries in Ukraine. All articles are also available in PDF format on the journal website (https://med-expert.com.ua/en/publishing-activity-en/hirurgiya-detskogo-vozrasta-publishing-activity-en/ ) and the Vernadsky National Library, and are made freely available immediately upon publication. PAEDIATRIC SURGERY. UKRAINE is published in Ukrainian, Russian and English 4 times a year. The Editorial Board of the PAEDIATRIC SURGERY. UKRAINE and the Publisher adheres to the principles of the International Council of Medical Journal Editors (ICMJE, http://icmje.org/), the World Association of Medical Editors (WAME, http://www.wame.org/), the Committee on Publication Ethics (COPE, https://publicationethics.org/ ). PAEDIATRIC SURGERY. UKRAINE is an open access, peer-reviewed scientific journal that considers articles on all aspects of paediatric surgery. The main aim of the journal is to contribute to the dissemination and exchange of scientific research data, improvement of professional skills of health care providers and child health care. The journal serves authors and readers of the general medical profession as well as the specialists in perinatology/neonatology and pediatricians publishing original research articles, clinical observations, special feature articles, and topic reviews. PAEDIATRIC SURGERY provides immediate open access to its content after publication on the principle that making research freely available to the public, supports a greater global exchange of knowledge. Articles can be read, downloaded, printed, and shared provided that use is for noncommercial purposes only, and proper credit is given to the authors as well as the original publisher. All articles in this journal are Free Open Access and meet the requirements of funding bodies or academic institutions. Articles are licensed under the terms of the Creative Commons Attribution-NonCommercial 4.0 International license (CC BY-NC). The publication of an article in PAEDIATRIC SURGERY requires agreement on standards of expected ethical behaviour for all parties involved in the act of publishing: the author, the editors, the reviewers and the publisher. Journal ethic statements are based on COPE’s Best Practice Guidelines for Journal Editors, ICMJE and WAME Recommendations. PAEDIATRIC SURGERY is the leading scientific and practical open-access journal in Ukraine and publishes the following peer-reviewed (duble-blind) material: original research articles, clinical and laboratory observations (case reports), topical reviews in perinatology, pediatrics and related fields, conference and congress summaries, commentaries. Submitted manuscripts are evaluated for their intellectual content without regard to race, gender, sexual orientation, religious belief, ethnic origin, citizenship, or political philosophy of the authors. The journal is published in Ukrainian, Russian and English languages. Manuscripts are accepted for review with the stipulation that they have not been published previously and are not under consideration by another publication, are in press, or will be published or submitted elsewhere. PAEDIATRIC SURGERY does not accept multiple and duplicate submission even though the previous one was published in a different language. The authors are responsible for the scientific content of the material to be published. Journal requires detailed disclosure by all authors of any potential or actual interests relevant to the topic(s) discussed in submitted manuscripts. Every manuscript submitted to the journal is subject to peer-review process (double blinded), editing and reduction, if required, without any changes in author style of presentation. Statements and opinions expressed in submitted articles are those of the authors and not necessarily those of the Editor(s) or Editorial Board of the journal. PAEDIATRIC SURGERY is archived on official website (http://med-expert.com.ua/publishing-activity/perinatologiya-i-pediatriya/?lang_ui=en) and in the database of V.I. Vernadsky National Library of Ukraine, Scientific Periodicals of Ukraine (in the process of registration). The full text access to published papers is free. The article submission, peer review, editing, processing and database indexing are free of charge for Ukrainian authors, for foreigner authors payment fee is 150 – 200 USD. All submissions are initially evaluated by the scientific editors. Initial screening of articles by internal editors will assess the topicality and importance of the subject, the clarity of presentation, and relevance to the audience of the journal in question. Submissions that do not conform to the terms of the publication in the journal will be returned to the authors, without detailed review. Authors will be notified as to whether the article is to progress to external review until two weeks after receipt of manuscript. The peer-reviewing process assists the editor and the editorial board in making editorial decisions and may also serve the author in improving the paper. All articles are peer reviewed by two or more members of our Editorial Board or other specialists sel ected on the basis of experience and expertise. Reviews should be conducted objectively. Personal criticism of the author is inappropriate. Referees should express their views clearly with supporting arguments. Any sel ected referee who feels unqualified to review the research reported in a manuscript or knows that its prompt review will be impossible should notify the editor and withdraw fr om the review process. Peer reviewers complete a referee report form, to provide general comments to the editor and specific comments to the author. Papers will normally be reviewed up to 2-3 weeks of submission. Authors grant the journal to publish the article under a Creative Commons License, which allows others to freely distribute the published research with the obligatory reference to the authors and the first publication of the original work in this journal. Copyright of the manuscripts is retained by the authors, after publication authors retain rights to use and share their own published articles. Authors have a responsibility to ensure that their publications are honest, clear, accurate, complete and balanced, and should avoid misleading, selective or ambiguous reporting. PAEDIATRIC SURGERY reserves the right to decline to publish work if the journal determines that a significant conflict of interest exists. The journal also reserves the right to retract an article if author misconduct has been established and to prohibit future submission fr om any author who has participated in misconduct. In accordance with the journal's policy, an approval of research protocols by an ethics committee in accordance with international agreements “WMA Declaration of Helsinki – Ethical Principles for Medical Research Involving Human Subjects (last updated: October 2013, Fortaleza, Brazil)”, "Guide for the care and use of laboratory animals (8th edition, 2011)" and/or “International Guiding Principles for Biomedical Research Involving Animals (2012)” is required for all research studies. As per regulation of the Ministry of Health of Ukraine (MHU) clinical trials are subject to registration at the State Expert Center of Ministry of Health of Ukraine with subsequent approval of institutional ethics committee. PAEDIATRIC SURGERY requires authors to disclose whether or not a research study reports the results of a clinical trial. Authors should affirm that any research involving human subjects submitted to the journal was conducted in accordance with the ethical standards, registered at the State Expert Center of Ministry of Health of Ukraine and approved by Institutional Ethics Committees. The Journal defines plagiarism as a case in which a paper reproduces another work with at least 25% similarity and without attribution. If evidence of plagiarism is found before/after acceptance or after publication of the paper, the author will be offered a chance for rebuttal. If the arguments are not found to be satisfactory, the manuscript will be retracted and the author sanctioned fr om publishing papers for a period to be determined by the responsible Editor(s). Authorship should be lim ited to those who have made a significant contribution to the conception, design, execution, or interpretation of the reported study. All those who have made significant contributions should be listed as co-authors. The journal requires all authors to disclose any scientific, ethical and financial conflict of interest that might be construed to influence the results or interpretation of their manuscript. Authors must declare any such conflict in the cover letter accompanying the manuscript and in the Acknowledgments section of the manuscript itself. All authors must sign a form regarding potential conflicts of interest at the time of acceptance. This policy applies to all submitted research manuscripts and review material. PAEDIATRIC SURGERY is archived on official website (http://med-expert.com.ua/publishing-activity/perinatologiya-i-pediatriya/?lang_ui=en) and in the database of National Library of Ukraine by V.I. Vernadsky. The full text access to published papers is free. PAEDIATRIC SURGERY follows the “Recommendations for the Conduct, Reporting, Editing, andPublication of Scholarly Work in Medical Journals” (ICMJE, updated December 2015) and is included in the listing of biomedical science and healthcare journals that follow ICMJE recommendations. When reporting research involving human data, authors should indicate whether the procedures followed have been assessed by the responsible review committee (institutional and national) and were in accordance with the Helsinki Declaration as revised in 2013 (www.wma.net/en/30publications/10policies/b3/index.html). If doubt exists whether the research was conducted in accordance with the Helsinki Declaration, the authors must explain the rationale for their approach and demonstrate that the institutional review body explicitly approved the doubtful aspects of the study. Approval by a responsible review committee does not preclude editors from forming their own judgment whether the conduct of the research was appropriate. When reporting experiments on animals, authors should indicate whether institutional and national standards for the care and use of laboratory animals were followed. All procedure must be included in the published article. Patients have a right to privacy that should not be violated without informed consent. Identifying information, including names, initials, or hospital numbers, should not be published in written descriptions, photographs, or pedigrees unless the information is essential for scientific purposes and the patient (or parent or guardian) gives written informed consent for publication. Informed consent for this purpose requires that an identifiable patient be shown the manuscript to be published. Authors should disclose to these patients whether any potential identifiable material might be available via the Internet as well as in print after publication. Patient consent should be written and archived with the authors at the institution where research was conducted. The authors provide the journal with a written statement that attests that they have received and archived written patient consent. The requirement for informed consent should be included in the journal's instructions for authors. When informed consent has been obtained it should be indicated in the published article. All participants in the peer-review and publication process — not only authors but also peer reviewers, editors, and editorial board members of journals—must consider their conﬂicts of interest when fulﬁlling their roles in the process of article review and publication and must disclose all relationships that could be viewed as potential conﬂicts of interest. When authors submit a manuscript of any type or format they are responsible for disclosing all ﬁnancial and personal relationships that might bias or be seen to bias their work. Authors must declare any such conflict in the cover letter accompanying the manuscript and in the acknowledgments section of the manuscript itself. The corresponding author or all authors should be asked to sign the manuscript on the last page regarding potential conflicts of interest at the time of acceptance. Where authors have no conflict of interests, the statement should read “The author(s) declare(s) that they have no conflict of interests”. This policy applies to all submitted research manuscripts and review material. Reviewers should be asked at the time they are asked to critique a manuscript if they have conﬂicts of interest that could complicate their review. Reviewers must disclose to editors any conﬂicts of interest that could bias their opinions of the manuscript, and should recuse themselves from reviewing speciﬁc manuscripts if the potential for bias exists. Reviewers must not use knowledge of the work they’re reviewing before its publication to further their own interests. Editors who make ﬁnal decisions about manuscripts should recuse themselves from editorial decisions if they have conﬂicts of interest or relationships that pose potential conﬂicts related to articles under consideration. Other editorial staff members who participate in editorial decisions must provide editors with a current description of their ﬁnancial interests or other conﬂicts (as they might relate to editorial judgments) and recuse themselves from any decisions in which a conﬂict of interest exists. Editorial staff must not use information gained through working with manuscripts for private gain. Editors should publish regular disclosure statements about potential conﬂicts of interests related to the commitments of journal staff. Guest editors should follow these same procedures. Becoming ICMJE member journals, PAEDIATRIC SURGERY may require that authors use the Form for Disclosure of Conﬂicts of Interest developed by ICMJE, particularly authors from outside of Ukraine. Once a manuscript is submitted for publication as a hard copy by mail, it is registered (date of registration) and is subject to double blind peer review, neither the authors nor the reviewers do not know each other. All submitted manuscripts are assessed by the editor(s) for suitability for the review process. The average time of the reviewing process is 3 weeks. – or reject the manuscript, typically on grounds of specialist interest, lack of novelty, insufficient conceptual advance or major technical and/or interpretational problems. The result of the review is based on the offered recommendations of the reviewers and decision of the editor on publication of the article is final. In the case of a positive result of the review, the manuscript is sent to the editor for further processing and publication. If necessary, the manuscript is sent to the author for revision in accordance with the recommendations of the reviewer. Revised manuscript sent for re-review. In the case of the negative results of the review, the author receives the information that the article is not accepted for publication with motivated refusal. The manuscript is not returned to the author. Journal editors treat the submitted manuscript and all communication with authors and referees as confidential. Authors must also treat communication with the journal as confidential: correspondence with the journal, reviewers' reports and other confidential material must not be posted on any website or otherwise publicised without prior permission fr om the editors, whether or not the submission is eventually published. These guidelines complies with the requirements of the International Committee of Medical Journal Editors (ICMJE) that review best practice and ethical standards in the conduct and reporting of research and other material published in medical journals. The journal considers manuscripts in the following categories: reports of original research, review articles, case reports, editorials, reviewer commentaries, etc. While preparing a manuscript for journal, authors should determine the manuscript type and then prepare manuscript according to the specific instructions presented below. The manuscript should be typed in a Microsoft Word file, single-column format, 1.5-spaced with 2.5 cm margins on left side, 1.0 cm – right side, up and down – 2.0 cm and 12-point type in Times New Roman font. Decimal points should be used in decimals throughout the manuscript. Measurements should be reported using the metric system according to the International System of Units (SI). Illustrations (tables, figures) should be titled, sequentially numbered and presented within the relevant places of the manuscript, and refered to the text. All abbreviations in the text must be defined the first time they are used (both in the abstract and the main text), and the abbreviations should be displayed in parentheses after the definition. Authors should avoid abbreviations in the title and abstract and limit their use in the main text. Manuscripts for publication are accepted either in Ukrainian, Russian or English languages from any country. Abstracts are published in three languages (Ukrainian, Russian and English). The journal does not provide translation and editing articles in English; low-quality written articles in English are not published. The English article submitted by foreign and Ukrainian authors are published without translation in Ukrainian. Original articles contains substantial novel research. These articles can include randomized controlled trials, observational (cohort, case-control or cross-sectional) studies, diagnostic accuracy studies, systematic reviews and meta-analyses, nonrandomized behavioral and public health intervention trials. Manuscript of the original article consists of follow sections: title page, main text, abstracts with key words (Ukrainian, Russian, English), additional information, references. Title (first) page indicates (up down) Universal Decimal Classification (UDC), article title (capital letters), author names (initials and family name), institutional name, city, country. The main text should be structured with the following subheadings: introduction (wider context that generated the study and the hypothesis based on the literature datа no older than 5-7 years), objective, materials and methods, results and discussions (presenting the data in text, tables and figures with statistical analysis, interpretation and significance of the findings), conclusions with indications of the future research direction, acknowledgements, conflict of interest, references. The main text should not exceed 8 pages, excluding the abstract, references, tables, and figure legends. There should be a maximum of 30 references. Last page must contain signatures of all authors, full author’s names, their scientific degree and titles, job position, full institutional mailing addresses, numbers of telephones, ORCID ID, scientific contributions and responsibilities of all authors. Must be indicated the contact person (responding author). Authors are responsible for the accuracy of references. Only papers directly related to the article should be cited. Citations should be numbered in alphabetical order. Papers in press and papers already submitted for publication may be included in the list of references but no citation is required for work that is not yet submitted for publication. Abstracts should not exceed 250 words and should be structured with the following subheadings: background, objective, materials and methods, results, conclusions and key words. All titles of headings should be highlighted. The manuscript should contain the abstracts in Ukrainian, Russian and English, self-contained and citation-free. At the end of the abstract, the key words are listed. Review Article is a comprehensive analysis of specific topics in medicine, which is written by author (s) with extensive experience and publications on the review subjects. All review articles will also undergo peer review prior to acceptance. Review articles must not exceed 12 pages for the main text (excluding references, tables, and figure legends) and 400 words for the abstract. A review article can be signed by no more than 5 authors and can have no more than 50 references. Case report represents interesting rare cases containing a substantial novel finding. Cases should be unique, representing a diagnostic or therapeutic challenge and having a learning point for the readers. Abstracts of case reports should mainly include information about the case and should be lim ited to a maximum of 250 words. The abstract must begin on a separate page and should be structured with the following subheadings: background, case report and conclusion. The main text of case reports should be structured with the following subheadings: introduction, case report, discussion, and references. Case reports must not exceed 7 pages (excluding references, tables, and figure legends). Case reports can be signed by no more than 5 authors and can have no more than 10 references and 5 figures or tables. Letter to the Editor must not exceed 7 pages (excluding references). An abstract is not required with this type of manuscripts. A letter can be signed by no more than 4 authors and can have no more than 5 references and 1 figure or table. Other. Editorials, reviewer commentaries, book reviews, and reports on publication and research ethics are requested by the Editorial Board. The manuscript is submitted for publication as a hard copy by mail or via electronic mail pediatr@med-expert.com.ua. The manuscript must be accompanied with the official (cover) letter from the institution where the research was carried out, singed by institutional authorities (research advisor) and sealed, and expert conclusion (publishing expert committee) indicating the possibility for publishing. Cover letter. The cover letter should include the article title and the full name of the author(s). The in the content of the letter author(s) should briefly summarize why submitted article paper is a valuable addition to the scientific literature and specify the type of article (for example, original article, case report, review article, etc.). The cover letter should also include a statement declaring the absence or presence of a conflict of interest, research studies and preparation of the manuscript were done in accordance with standards of research and publication ethics. Furthermore, there should be a statement that the manuscript has not already been published, accepted or under simultaneous review for publication elsewhere. The journal does not accept multiple submission and duplicate submission even though the previous one was published in a different language. Expert institutional conclusion for publishing. Each institution where research studies are conducted has expert committee. The main aim of the expert committee is to provide pre-publish review of articles (publishing and ethical standards, approval of institutional ethic committee, confidentiality, innovation of article reports, conflict of interest, etc.). The result of this review is an approval for possibility of publication which is submitted with the cover letter and manuscript. Title page. Manuscript shoud be numbered from the first to the last page and signed by all authors (including tables and figures). The first page indicates Universal Decimal Classification (UDC), paper title (capital letters), author names (initials and family name), institutional name, city, country. The title should be brief and informative, of 150 characters or less, convey the essential message of the paper and contain no abbreviations. On the top of the page left side should be posted the signature of institutional authorities (research advisor) certified by the institutional seal. Abstracts. Original articles, review articles and case reports should include an abstract. The abstract should be written in Ukrainian, English and Russian languages. Abstracts for original articles should be structured with the following subheadings: background, objective, materials and methods, results, conclusions and key words. Abstracts for case reports should be structured with the following subheadings: background, case report, and conclusion. Abstracts for review articles should not be structured. Editorials, letters to the Editor, and commentaries should not contain an abstract. Introduction. The Introduction should assume that the reader is knowledgeable in the field and should therefore be as brief as possible, but can include a short historical review where desirable. The relevance и significance of the research are highlighted, the goals and objectives of the studies are justified. The introduction is outlining the wider context that generated the study and the hypothesis. Introduction may contain 10-15 references to scientific periodicals which were published for the last 5–7 years. Materials and methods. This section should contain sufficient detail, so that all experimental procedures can be reproduced, and include references. Methods, however, that have been published in detail elsewhere should not be described in detail. Authors should provide the name of the manufacturer and their location for any specifically named medical equipment and instruments, and all drugs should be identified by their pharmaceutical names, and by their trade name if relevant. When reporting research involving human data, authors should indicate whether the procedures were conducted in accordance with bioethical standards and assessed by the local ethics committee or national bioethics commission. The same applies to researcher involving laboratory animals. When reporting experiments on animals, authors should indicate whether all necessary procedures were carried out in accordance with national and international standards for the care and use of laboratory animals. All procedures should be described in this section. For articles concerning experimental research on humans, a statement should be included that shows informed consent of patients and volunteers was obtained following a detailed explanation of the procedures that they may undergo. For example: “The informed consent of the patient was obtained for conducting the studies". Conclusions. The final paragraph should highlight the main conclusion(s), and provide some indication of the direction future research should take. Acknowledgements. The authors may express their gratitude to the people and organizations contributed to the article to be published in the journal, but not being the authors. Should include sources of support including sponsorship (e.g. university, charity, commercial organization) and sources of material (e.g. novel drugs) not available commercially. Author AA, Author BB, Author CC. (2005). Title of the article. Title of Journal. 10(2);3:49-53. Author AA, Author BB, Author CC. (2006). Titile of the book. Kyiv: MedEspert: 256. Tables. The tables must have the heading and the serial number. The notes on the table are placed straight under the table. All tables should be referred to within the main text and they should be numbered consecutively in the order they are referred to within the main text. A descriptive title should be provided for all tables and the titles should be placed above the tables. Tables should be presented within the main document after the reference list. Reference to table footnotes should be made by means of Arabic numerals. Tables should not duplicate the content of the text. They should consist of at least two columns; columns should always have headings. Authors should ensure that the data in the tables are consistent with those cited in the relevant places in the text, totals add up correctly, and percentages have been calculated correctly. Unlike figures or images, tables may be embedded into the word processing software if necessary, or supplied as separate electronic files. – attention, concern and communication to authors from publisher staff. Tel/fax: +38 044 498 0834; +38 044 498 0880.